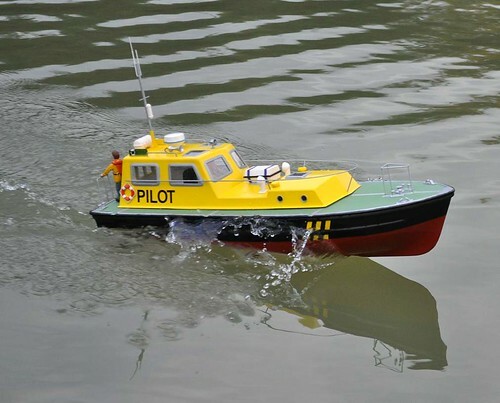 It's taken a while, too long to be honest, but the Pilot Boat now appears in Model Boats Magazine. It's not entirely my fault, the kit took a while to arrive and there is an issue (fixed by me in the article) with holding the top down properly. The text has come out well, apart from a sub-editor rather keener on exclamation marks than I am and maybe "plastic" didn't need to be in quotes, but then both of these are subjective points and I'm probably being too fussy. Photo reproduction is absolutely top notch and since it's a piece with more pictures than words (each of which is worth a thousand of the other, but you try and tell the editor that when invoicing...) that more than makes up for anything. 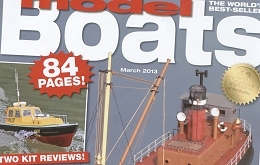 I can't complain too much anyway - the model made the cover so I can't have done that bad a job with at least one photograph. Can you glaze a big window with Krystal Klear?